Today, I would like to give you a copy for free. Simply enter your shipping information below now. We will express ship a copy to your door within 72 hours because I want you to survive mesothelioma like I did. Over 18,000 copies have been sent out. Where do we ship yours? The main purpose of the mesothelium is to produce a lubricating fluid that is released between layers. This fluid provides a slippery and protective surface to allow movement between tissues and organs. For example, it allows the lungs or abdomen to expand and contract smoothly. What is HIPEC? HIPEC stands for hyperthermic intraperitoneal chemotherapy. “Intraperitoneal” means that the treatment is placed inside the abdominal cavity. “Hyperthermic chemotherapy” means that the chemotherapy is heated to a temperature greater than normal body temperature. It is a procedure used to treat mesothelioma where heated and concentrated chemotherapy is placed directly in the surgical cavity during surgery. Paul Kraus was diagnosed in 1997 before HIPEC was widely available. Although Paul has survived more than 20 years with peritoneal mesothelioma, he did not have HIPEC. 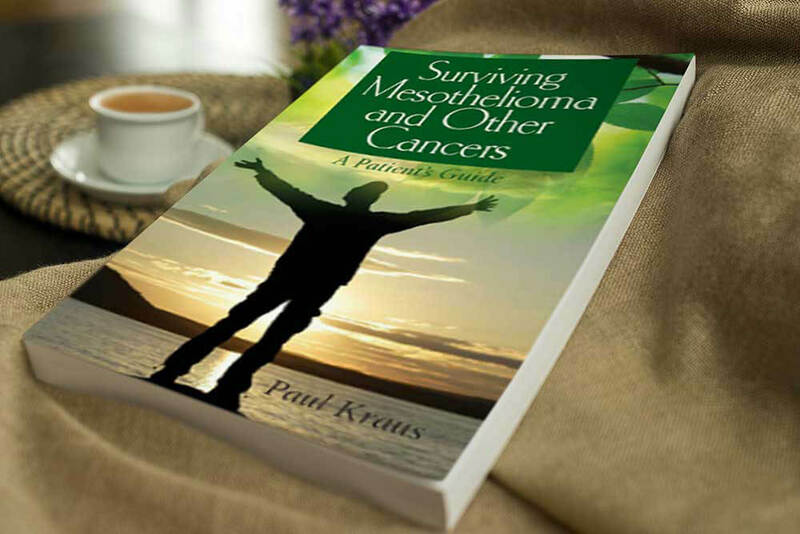 In his book, he explains other healing methods used by mesothelioma patients who may use HIPEC. For a list of mesothelioma doctors in your area, click here.